Expedition Antarctic Blanc is aiming to support Prof. Bucklin and Prof. Distel in the sampling of zooplankton in the Southern OCEAN for their precious scientific Research work. For all operations South of 60°S the German Federal Environment Agency has been involved upfront and the relevant approvals have been given. 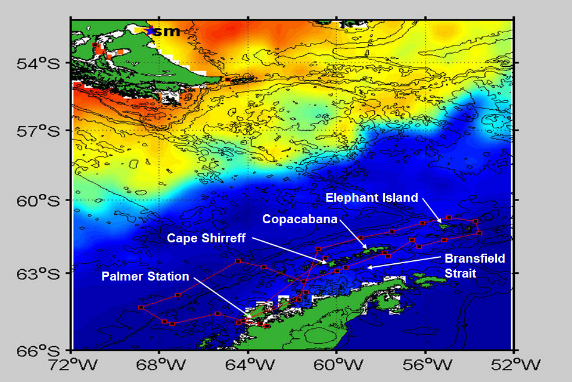 Pelagic zones of the open ocean represent one of the largest (by volume) habitats on Earth, with highly diverse and ecologically important assemblages of zooplankton, animals that drift with ocean currents. Marine zooplankton are rapid-responders to environmental variation and can serve as early-warning indicators of climate change. However, the systematic complexity of the zooplankton assemblage, with numerous cryptic and sibling species, remains a serious impediment to our understanding of global-to-local patterns of biodiversity and biogeography. In recent years, High-Throughput Sequencing (HTS) technologies have yielded dramatic advances in practical, cost-effective molecular approaches to the analysis of environmental samples. In particular, metabarcoding (i.e., the large-scale taxonomic identification of a complex sample via analysis of one or few orthologous DNA regions, called barcodes) has the significant advantage of detecting the “hidden diversity” of zooplankton. Metabarcoding of the pelagic assemblage is yielding new insights into marine biodiversity, as most marine species (including fish and many invertebrates) are planktonic at some point in their life cycle. Why the Western Antarctic Peninsula region? Across the globe, marine environments are experiencing rapid changes, including temperature increases, yet acute impacts are prevalent in polar marine environments, with higher increases in temperature than global averages and dramatic reduction in ice cover. 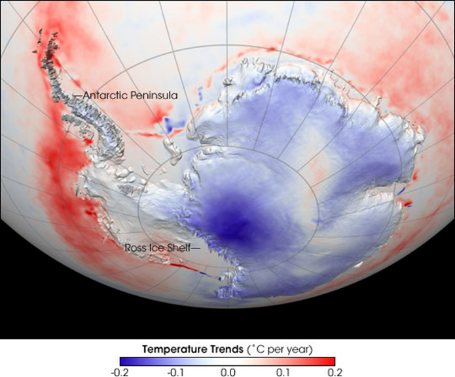 Indeed, the Western Antarctic Peninsula region is one of the fastest-warming places on Earth. The physical changes – in light penetration, nutrient availability, ocean acidification, among others – have complex consequences for plankton and cold-adapted marine species. Among many unknowns about the impacts of climate change are how time/space patterns of biodiversity will be altered and how in turn these will impact marine food webs and ecosystems. A primary focus is the collection of zooplankton from the Western Antarctic Peninsula region, including deep waters off the continental shelf, shallower on-shelf waters, Bransfield Strait, and coastal habitats, such as fjords. A realistic goal might be 5 – 10 samples across the target areas shown. Zooplankton sampling can be done while underway using a hand net. There are many options for exact size and configuration. A 12” diameter net with 333 um mesh netting might be about right: small enough to allow deployment by hand; large-enough mesh to avoid clogging (see above and http://www.aquaticresearch.com/simple_plankton_nets.htm). For safety the line can be wrapped around a capstan and payed out hand-over-hand to a pre-determined mark. The exact protocol can be determined based on practical considerations – including weather! Best practice would be to do all tows the same way. 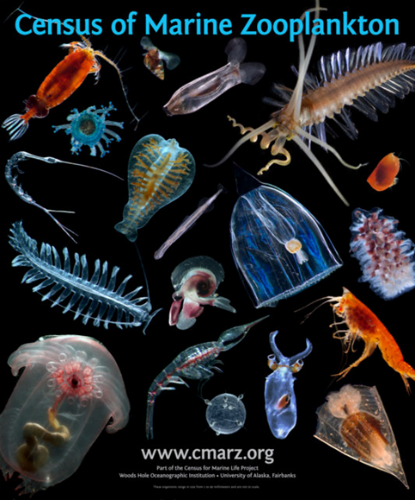 Protocols for collection and preservation of samples are available via the website for the Census of Marine Zooplankton (CMarZ), a field program of the Census of Marine Life. See http://www.cmarz.org/procedures/CMarZ_Sample_Protocol_jan06.htm. 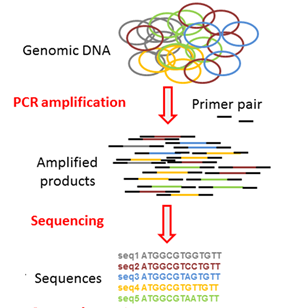 Metabarcoding analysis entails extraction of DNA from the whole sample, followed by PCR amplification of a target gene or “DNA barcode” region, high-throughput sequencing yielding tens of millions of sequence “reads”. The subsequent bioinformatics and statistical analysis is rather daunting, but increasingly straightforward. The analyses will be done at the University of Connecticut, which has superb genomics facilities, with state-of-the-art sequencing platforms, and excellent computing facilities, including servers with appropriate software for analysis of metabarcode data. Aliquots of DNA from each sample will be archived at the Ocean Genome Legacy and will be made available to interested researchers per OGL policies. The results will be used to examine biodiversity of the zooplankton assemblage, using metrics that are unique to metabarcoding (numbers of sequences and rarefaction curves) as well as usual measures of biodiversity and analysis of patterns in relation to environmental (oceanographic) conditions. A primary value of metabarcoding is to allow rapid assessment of ecosystem responses to climate change, with a particular focus on understanding the zooplankton assemblage and pelagic food web.